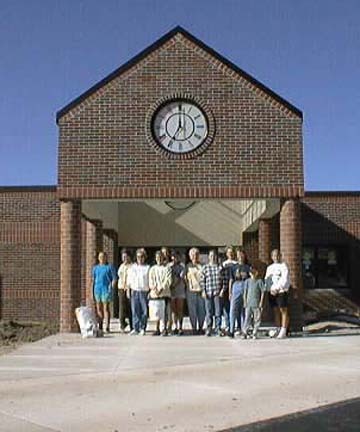 Volunteers gave their time working to ready the school: washing cabinets, painting shelves, carrying and unpacking boxes. 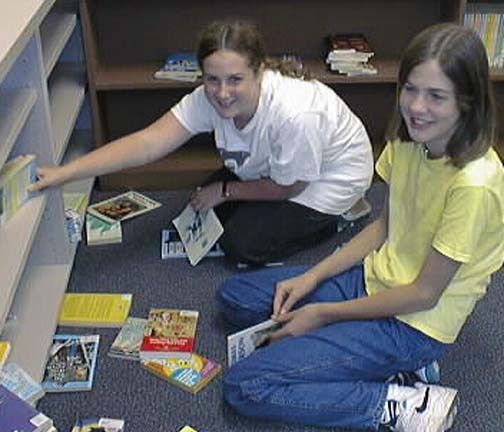 Katy & Lucy worked to alphabetize thousands of Mrs. Eldridge's books. Many more volunteers came to work. 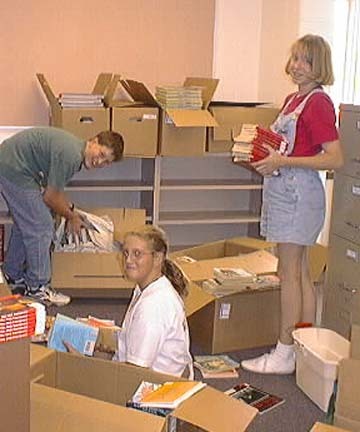 Adam, Raychelle, and Tiffany unpacked boxes.